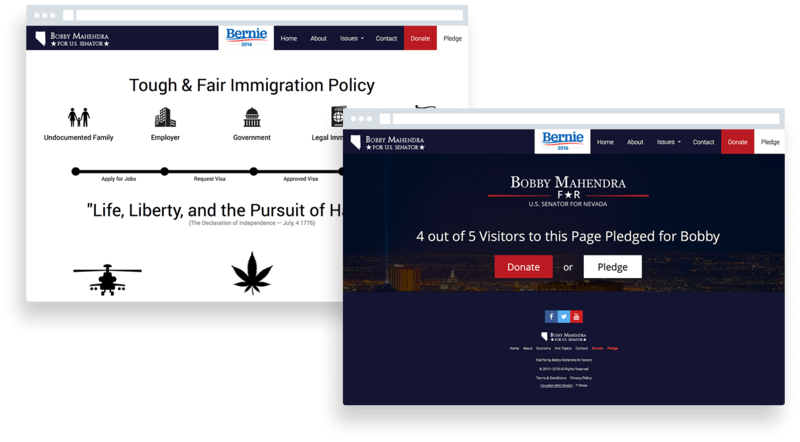 Crafting a website design that is persuasive and accurately reflects your individuality can be challenging, but when you are designing a website for a political figure, it is an entirely new challenge. Bobby Mahendra is a straight-to-the-point, impressively intelligent gentleman who needed a website that reflected his views, and he wanted to keep it as minimalist as possible. 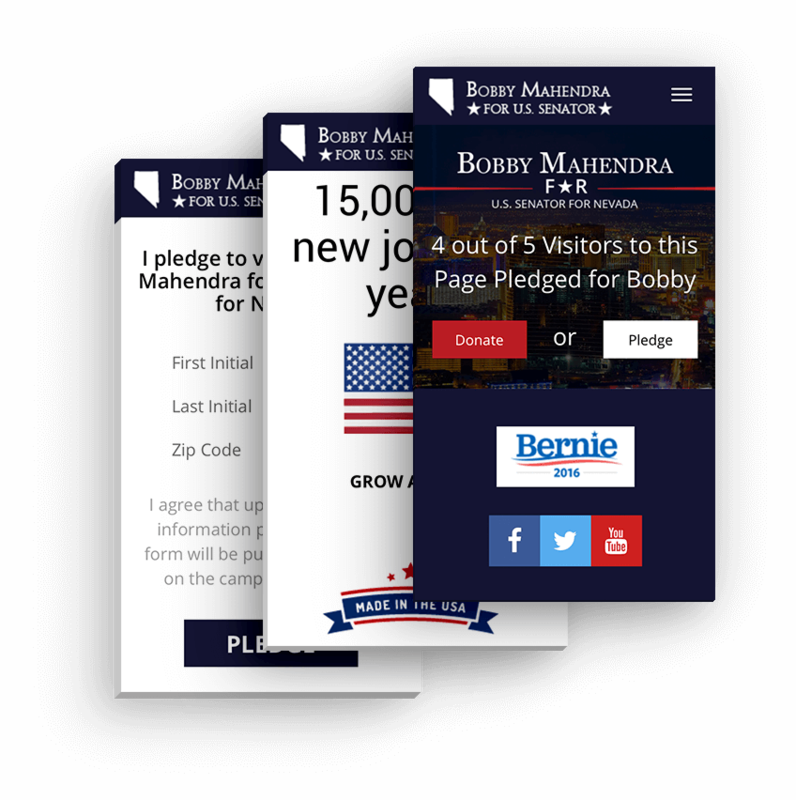 To develop such a website, we had to get familiar with Bobby Mahendra’s political platform, as well as with his supporters and the specific problems that they wanted him to solve. Obviously, the purpose of any marketing tool, including a website, is to attract more people towards a business, a person or a cause. After we familiarized ourselves with what Bobby Mahendra stood for, we not only understood precisely why his supporters follow him, but also that if his message was communicated properly, it would be easy for him to get more voters, pledges and donations. Simplicity is not exactly a popular concept in political websites, but just because it is not a common practice, does not mean that is not the proper practice. Hundreds of case studies have already concluded that our attention span is very limited, and this has the most impact on website design. There were a few key messages that had to be conveyed through Bobby’s website and our minimalist approach highlighted all of the issues without being visually overwhelming. First of all, we made sure that we communicated Bobby’s patriotism and love for Nevada and America through a large image of Vegas skyline. We also used the colors of the American flag, the flag itself and pictures of Bobby throughout the site. We also made the highlighted the call-to-action for pledges and donations. In the inner pages of the website, we communicated the political platform through succinct messages and imagery. Bobby and his team were very happy with the final look and feel of the website. Bobby Mahendra ran for Senator for Nevada in 2016. He was born in New York, raised in Houston and currently lives and works in Las Vegas, Nevada. Bobby is a democrat, has a Bachelor’s Degree in Economics and Master’s Degree in Professional Accounting and impressive professional experience both as an employee and as an employer.